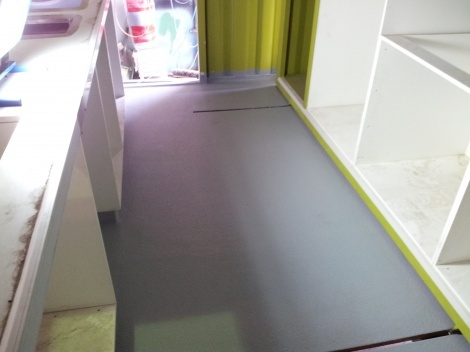 This kitchen needed a seamless slip resistant flooring material that was hard wearing and flexible. Rhino Linings was chosen due to its ability to satisfy every requirement for this project. A primer was applied to the wooden floor the night before to allow for spraying the following day. The coating was sprayed up the walls 100mm to comply with council requirements.